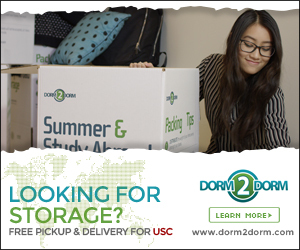 Since starting my semester here at USC, I have found myself looking forward to Wednesdays for one reason: loading up on fresh fruits and veggies. The weekly farmer’s market held at McCarthy Quad offers a wide variety of food and crafts, and during my first visit, my eyes were immediately drawn to a table full of shades of blue and red. I love to pick up a basket or two of berries because I know I can easily work them into meals and snacks. This week I decided to pick up blueberries not only because they are incredibly tasty and easy to eat by the handful, but also because the little berries are chock-full of health benefits too. 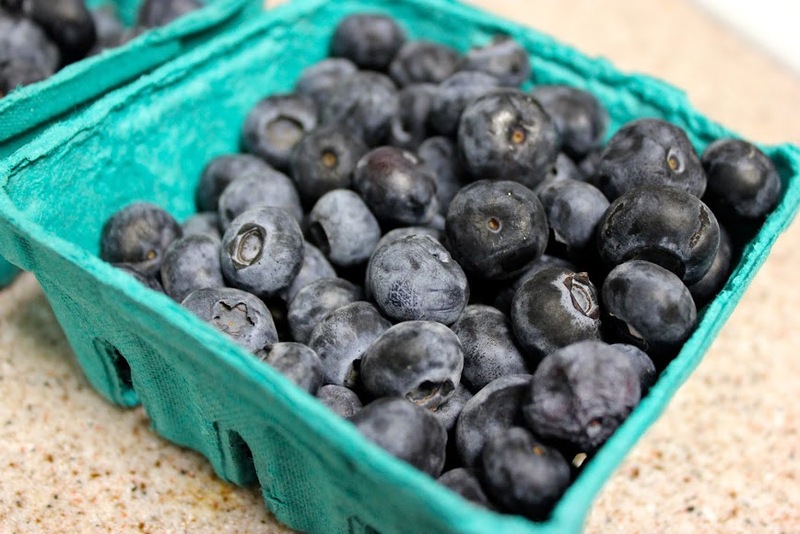 According to Medical Daily, blueberries are packed with antioxidants and vitamins. 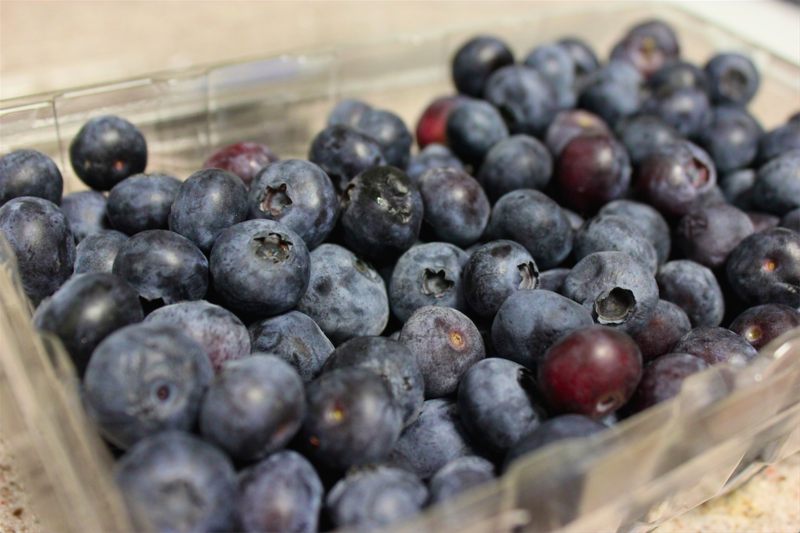 The little berries are proven to strengthens immune health, reduces risk of cancer, helps fight UTIs, and improves cardiovascular health and — guess what students — some studies have shown blueberries boost brain health as well! 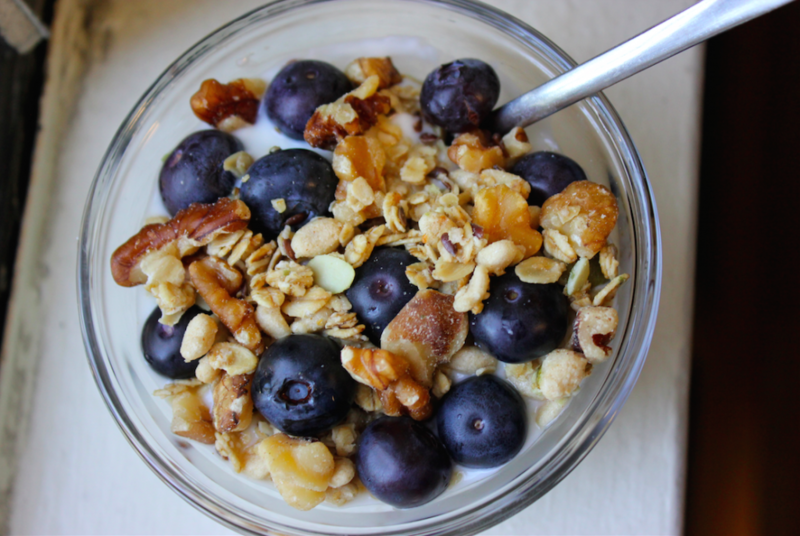 Because I love blueberries and because breakfast is the most important meal of the day, here are a few of my favorite morning recipes and pointers I’d like to share with you. If you snoozed your alarm clock one too many times this morning, and you’re running a bit late for that G.E., no worries — a quick and easy to make blueberry parfait will help you get your day started right! Parfaits are easy to make because you can add whatever you want (or whatever you can find in your fridge or pantry.) Pick out your favorite yogurt, wash and dry a handful of blueberries, and add other toppings if you’d like. Personally, I like to start out with low-fat vanilla yogurt as a base, and then I add berries or other fresh fruit, granola and almonds or walnuts. A teaspoon of honey doesn’t hurt either! So you didn’t hit the snooze button this morning, but you are feeling a bit tired before class. Well, what better way to start your day than with a smoothie? Like parfaits, there is no “right way” to make a smoothie, but my suggestion would be to pick a base such as yogurt, almond milk, or even water, pick a fruit (I’d suggest blueberries here of course) and smoothies are also a great way to get in not-so-great tasting vegetables like kale or other dark, leafy greens. A sweetener, protein powder, vitamins, etc can also be added. For a great smoothie guide, check out this. Also, here’s a great smoothie in my opinion, because the fresh fruit easily masks the kale. 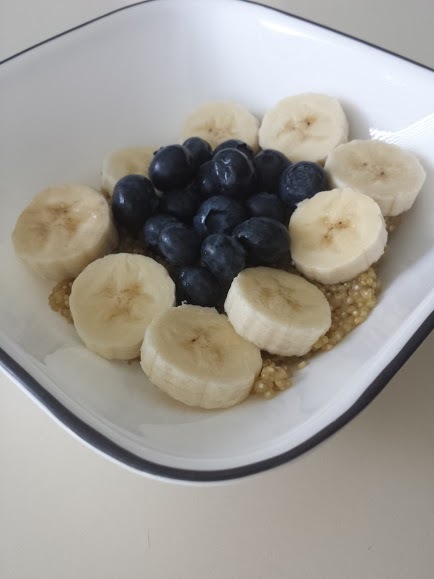 I cook and sweeten the quinoa according to the directions, but I normally add blueberries and banana slices on top of mine! It’s Sunday, thank God. Your friends are coming over for a late brunch because no one set their alarms this morning, and you’ve still got a basket left of blueberries. 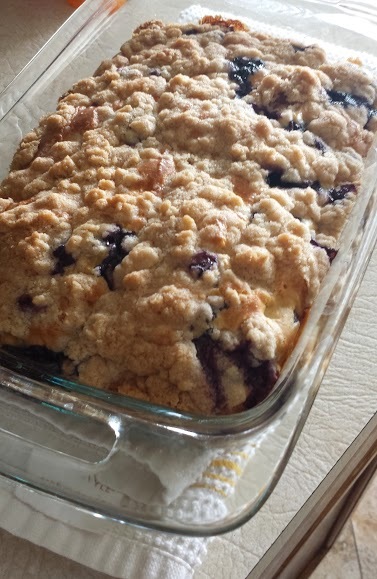 Why not go all out and make a blueberry breakfast crumble? This recipe is one of my all-time favorites. The ingredient list is pretty straightforward and the end result is so satisfying and worth the post cleanup. 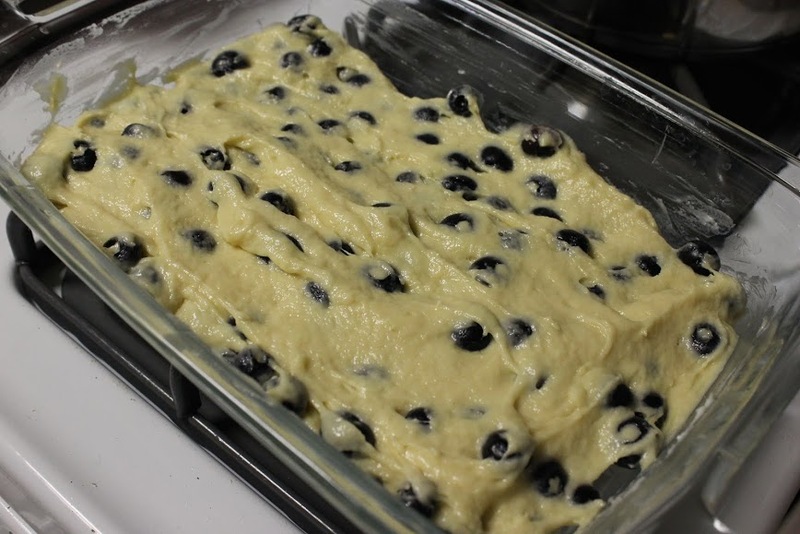 I love the crispy crumble that covers the moist and fluffy blueberry cake, just be careful to not getting the crumble too warm before covering the batter or else the butter will melt into the crumble rather than crisp up! Here’s to wonderful mornings that are blue in a different way! 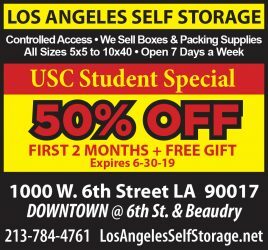 Eat those berries and improve that brain health, Trojans! Natalie Laczewski is a freshman majoring in communication. Her column, “Food for Thought,” runs Wednesdays. On discovering Grand Central’s Eggslut The College Football Playoff System: Who’s hot and who’s not?